MEXICO – At the Center for Instruction, Technology and Innovation, project-based learning activities about community service have taught students about the importance of inclusivity. Students and staff members in the Exceptional Education program at CiTi organized a shoe drive to benefit people in need, both locally and world-wide. 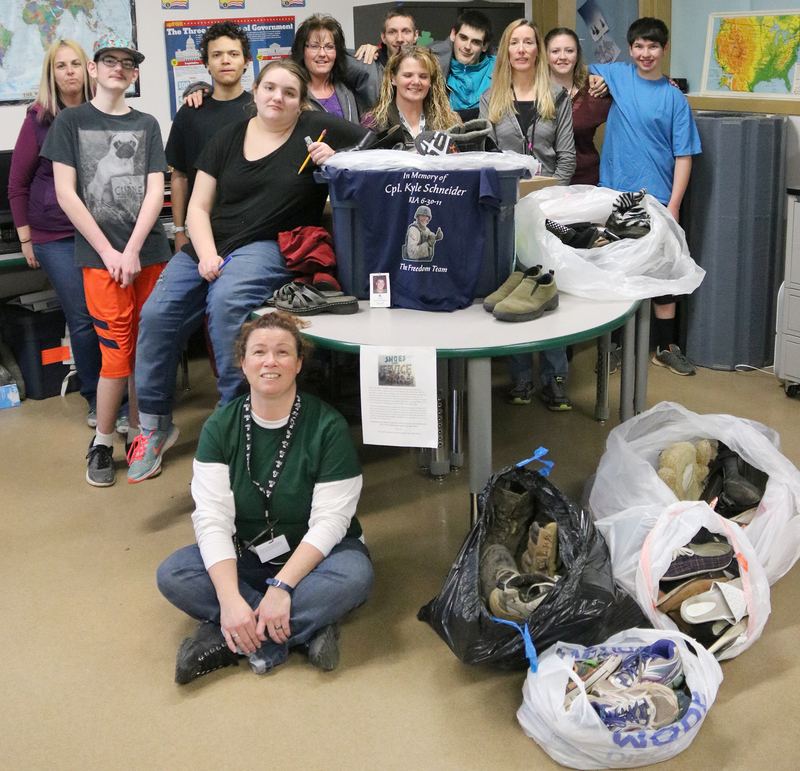 Students and staff members from CiTi’s P-TECH, Alternative Education and Career and Technical Education programs joined the efforts of Exceptional Education students to collect gently-used shoes that will benefit the Cpl. Kyle R. Schneider Foundation, local veterans and people in need in third-world countries. 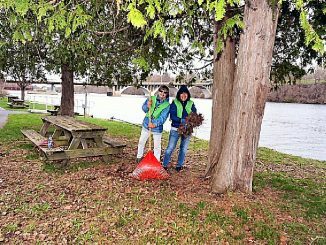 The effort was spearheaded by Exceptional Education teacher Mary Ryan’s community service class. Her students lead the effort by distributing student-made collection flyers and boxes throughout CiTi’s main campus in Mexico. 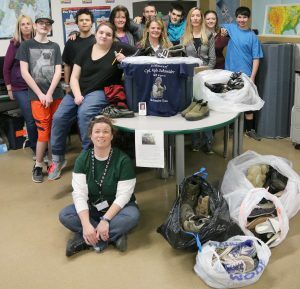 Once the word got out about her class’ effort to help people in need, community members also donated shoes to the cause. In working with the Little Utica Methodist Church, CiTi students and staff members have supported the cause by collecting over 200 pairs of shoes, for which the Cpl. Kyle R. Schneider Foundation will be given 40 cents per pound. Ryan said the foundation will use the money specifically for service dogs for local veterans. All shoes will then be sent to Florida to be refurbished and sent to third-world countries for people who are less fortunate to enjoy. One of Ryan’s students, Luis Piscitelli, said the effort made him feel like Santa Claus, knowing he is helping so many people. “Merry Shoe-mas,” said his classmate, John Bertges. Other CiTi students who helped with the project include: Savannah Dobson, Tyler Kendrick, Tyler Seales, and Floyd Haywood. Additional CiTi staff members who assisted are: Teresa Miller, Colleen Rogers, Kathy Densmore, Kim Ladd and Danyal Wakeman.